A tree dwelling creature found in western England, southern Germany, and Scandinavian forests, the Bowtruckle appears to be made of bark and twigs with two brown eyes which makes it hard to distinguish from the trees it inhabits. Bowtruckles serve as tree guardians for their home trees; usually a tree whose wood is of wand quality. They are immensely difficult to spot and can be quite dangerous when they feel threatened. 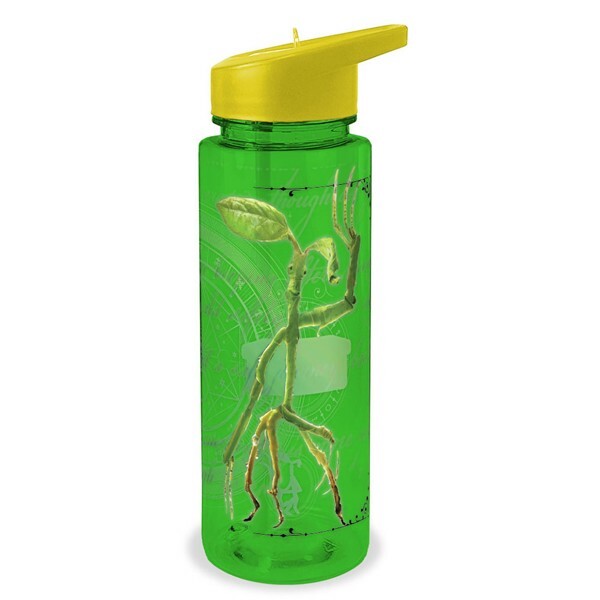 Let the small-yet-mighty tree guardian guard your pumpkin juice with this Bowtruckle bottle!